This is a compilation of blog posts about chemical weapons in Syria. The posts are in chronological order. Has Putin changed his tune on Syria? Chemical weapons: a diplomatic way out? Syria airstrikes: is there another way? More clues from the weapons inspectors? Syria and Sarin: who was Hersh's anonymous source? Did Syrian rebels acquire sarin? If so, how? Chemical weapons in Syria: what is the Assad regime hiding? Can the international ban on chemical weapons survive the Syrian war? Blog post, 7 July 2018: The OPCW has now issued an interim report on the alleged chemical attack in Douma, Syria, last April. Although the investigation is not yet complete, laboratory tests so far have found possible evidence of chlorine use but no evidence of sarin or a similar nerve agent. The OPCW also visited two sites which the Syrian authorities suspected of being used by rebels to produce chemical weapons and found "no indication" that the claim was true. Dozens of people were reportedly killed in the Douma attack on April 7, and the US, Britain and France responded with airstrikes. The attack on Douma was widely claimed to have been carried out by Syrian forces using chlorine gas, though there were also claims that the nerve agent sarin had been used too. Chlorine is not officially designated as a chemical weapon – it is a common substance with multiple civilian uses – but the Chemical Weapons Convention nevertheless prohibits its use in warfare. Three days after the alleged attack Russia said it had sent a "chemical corps commission" to investigate in Douma and had "found no traces of chemical poisoning with chlorine or sarin". Russia has also claimed that videos apparently showing casualties were faked. Previous OPCW reports have confirmed the use of sarin on several occasions in Syria, most notably in Ghouta in 2013 and Khan Sheikhoun last year. Chlorine attacks have been much more common and, according to the OPCW, chlorine has been used “systematically and repeatedly” during the conflict. "Samples were collected, sealed, and documented in photos and video recordings in the presence of Syrian Arab Republic representatives, and unpacked at the OPCW Laboratory for splitting and redistribution to the OPCW designated laboratories in the presence of the Permanent Representative of the Syrian Arab Republic to the OPCW." The biomedical samples from people allegedly exposed were received or collected outside Syria, and the report says OPCW investigators "directly oversaw the drawing of blood samples". The report lists 12 samples as having been collected by investigators (i.e. directly), with the other 31 "handed over" by third parties. Biomedical samples included blood, plasma, hair and DNA. So far, nine plasma samples have been tested (four of them collected by the OPCW itself) and the report says "no relevant chemicals" were found. "No organophosphorus nerve agents or their degradation products were detected, either in the environmental samples or in plasma samples from the alleged casualties." On chlorine, it says "various chlorinated organic chemicals" were found in samples from two locations, along with residues of explosive. This could indicate use of chlorine as a weapon but it is by no means conclusive and the report adds: "Work by the team to establish the significance of these results is ongoing." A clearer picture regarding chlorine should emerge when the OPCW reports on interviews with witnesses and the symptoms of alleged casualties. "Close to the location of each cylinder there were crater-like openings in the respective reinforced concrete roofs. Work is ongoing to assess the association of these cylinders with the incident, the relative damage to the cylinders and the roofs, and how the cylinders arrived at their respective locations." One of the cylinders was featured in a recent New York Times report along with photographic evidence suggesting at least 34 people had died in the building. Syrian government officials did not allow OPCW investigators full access to one of the sites, because some of the apartments were found to be locked up. "The Syrian Arab Republic representatives stated that they did not have the authority to force entry into the locked apartments," the report says. 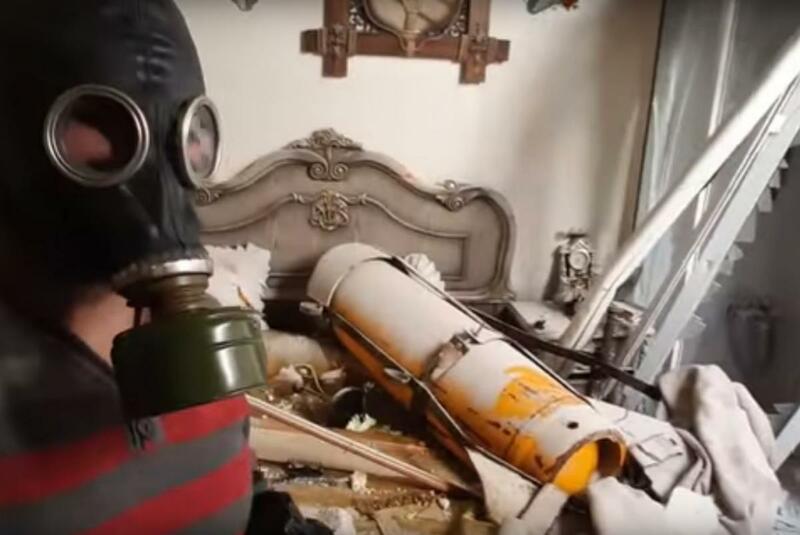 Video of the "bedroom cylinder"
Blog post, 2 August 2018: On April 13 this year, American, British and French forces launched airstrikes against Syria intended – in the words of Donald Trump – to deter "the production, spread and use of chemical weapons". They were responding to what British prime minister Theresa May described as "a despicable and barbaric attack" in Douma, six miles northeast of Damascus. "All the indications are that this was a chemical weapons attack," she said. The use of such weapons is banned under the Chemical Weapons Convention to which Syria is a party and, as on all previous occasions, the Assad regime denied using them in Douma. It was vociferously supported in that by its ally, Russia, which claimed instead that a fake chemical attack had been staged "for the benefit of extremists and their foreign backers". Three months after the event, the Organisation for the Prohibition of Chemical Weapons (OPCW) - an international body with investigatory powers – issued a preliminary report. Laboratory tests on samples from Douma, it said, had found no evidence of a nerve agent such as sarin. The tests did however show "various chlorinated organic chemicals" which might – or might not – be the result of chlorine used as a weapon. Whatever the eventual outcome of that investigation, Douma was just the latest among dozens of alleged chemical attacks during the Syrian war. Some, including several sarin attacks, have been confirmed by the OPCW but many others remain uninvestigated. Media reports have focused mainly on sarin – for obvious reasons, since it is such a horrible weapon – but the chemical most often implicated in attacks is a much more familiar substance: chlorine. "The volatility and reactivity of molecular chlorine (Cl2) are such that unless the appropriate sampling and analytical equipment were used at the time of an incident, detection of Cl2 is not possible some time later." Chlorine – deployed by both sides during the First World War – was one of the earliest and simplest chemical weapons, though it was soon abandoned in favour of deadlier substances such as phosgene and sulfur mustard ("mustard gas"). One of chlorine's drawbacks was that it was so easily recognisable and its worst effects could be mitigated by swift and simple countermeasures such as placing a wet cloth over the face or moving to higher ground. After that, apart from occasional attacks by insurgents in Iraq, chlorine's potential as a weapon seems to have been largely ignored until 2014 when allegations began circulating of its use in Syria. "The smell isn't something you can handle. The moment you're exposed to it, your throat burns, it's like a fire rod going in. It won't let you swallow or breathe. Your neck starts boiling. You feel nauseated. Your eyes burn and you are not able to control the tears. Eventually, you are not able to breathe. It's not like having your nose and mouth blocked, rather, your body won't let the air in any more." Chlorine reacts with moisture in the human body to produce acids - mostly in the throat and lungs - sometimes causing victims to foam at the mouth. High levels of exposure can result in permanent damage or death. In September 2014, just five months after the first allegations of chlorine attacks on villages in northern Syria, the OPCW found "compelling confirmation" that a toxic chemical had been used there "systematically and repeatedly". It stated "with a high degree of confidence" that the chemical involved was chlorine, either pure or in mixture. The exact number of such attacks throughout the conflict is unknown but by 2018 Human Rights Watch had identified at least 42 attributed to chlorine. There were obvious reasons for thinking these were the work of the Assad regime. Among attacks that the OPCW judged likely to have involved chlorine, all had struck rebel-held territory and the evidence in most cases pointed to chemicals dropped from the air – which clearly implicated the regime because opposition forces had no aircraft. The timing of the first chlorine attacks – in April 2014 – may also be significant. In the face of international pressure following sarin attacks in Ghouta the previous August, Syria agreed to join the Chemical Weapons Convention and began destroying its stocks and production facilities, supervised by the OPCW. 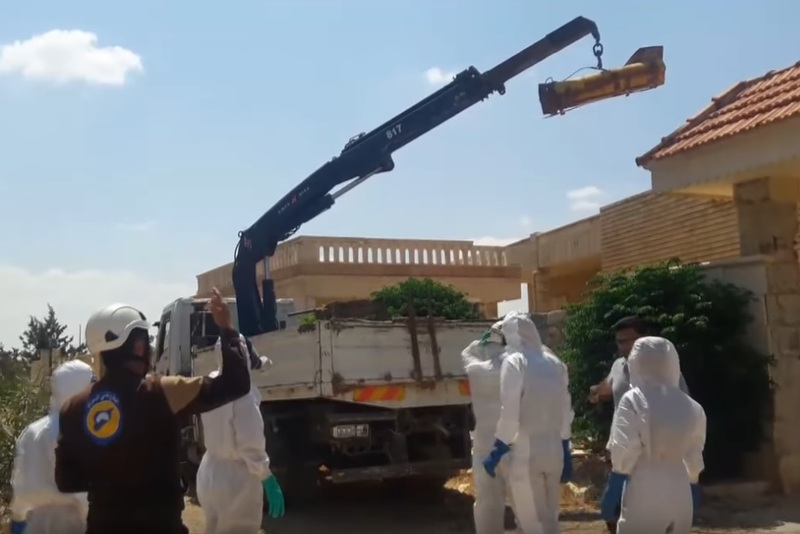 Though the regime declared sarin and other substances among its stockpile there was no need to declare chlorine because under normal circumstances it is not considered a chemical weapon. 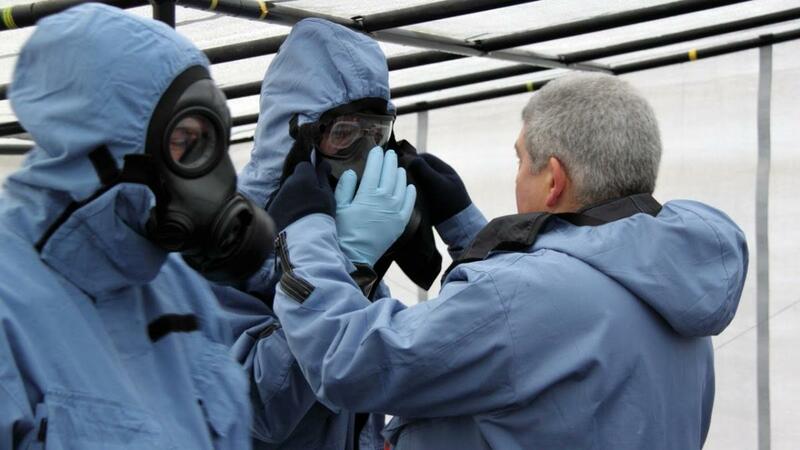 Under an annex to the Convention, some substances – such as nerve agents – are specifically designated as chemical weapons on the grounds that they are unlikely to be produced for legitimate purposes. Chlorine, on the other hand, has so many legitimate uses that possesssing it is not, in itself, forbidden by the Convention. It does, however, become a banned weapon if produced or used with the intention of causing "death, injury, temporary incapacitation or sensory irritation through its chemical action". The effect of this was that while the regime gave the appearance of cooperating with the OPCW with regard to designated chemicals, it still had chlorine as a readily available, if less lethal, alternative. This, in turn, brought an additional complication to the task faced by investigators. The main problem with chlorine from an investigator's point of view is that it's a very common element. It occurs naturally in many different compounds, so the question is how to distinguish chlorine released by a chemical attack from chlorine that already exists in the environment. The OPCW considered what to do about this when embarking on its first chlorine-related investigation in 2014. Its initial plan was to collect multiple soil samples from the area surrounding the alleged chlorine release point. "The expectation was that chlorine would deposit on soil and be transported into the soil column, where it is converted to a variety of products, including chloride ion," its report said. Chloride occurs naturally in soil but the OPCW reasoned that if an attack had taken place levels of chloride in the upper layers of soil would be highest at the impact point and higher in places that were downwind of the impact point than those that were upwind. At the time this could not be put to the test because investigators were unable to gain access to the sites. Some of the later investigations did, however, find "elevated" levels of chlorine-related substances which could not be explained as a natural occurrence. While such findings can be strongly suggestive of a chlorine attack, the evidence they provide is circumstantial; on their own, they can never be conclusive in the way that tests for nerve agents can be. There's a further problem when it comes to testing people exposed to chlorine. Their symptoms may give a strong indication but proving it through laboratory tests is a different matter. Exposure to a nerve agent can be detected in the human body for some time afterwards but when the OPCW began looking for ways to test people for chlorine it found none. One option it considered was testing for raised levels of 3-chlorotyrosine and 3,5 dichlorotyrosine but that method had only been explored by research scientists using biopsies from the nasal tissue of rats. The OPCW decided that trying it on humans in field conditions would be "near impossible" and probably not worthwhile because there could be other reasons for raised levels of these chemicals besides chlorine exposure. Although it's obviously helpful to identify the chemical used in an attack whenever possible, the limitations of laboratory testing are not as great an obstacle as they might seem. The task of investigators is to ascertain whether a chemical attack took place – and for that it is not necessary to identify any particular chemical. Legally-speaking, all they need to show is that some kind of noxious chemical was released with the intention of harming people. That, basically, means looking at the totality of evidence from a variety of sources – the symptoms of those killed or injured, the testimony of witnesses and the remains of any munitions, plus whatever photos or videos are available – and weighing it up, much as a jury would do, to decide whether a chemical attack has been proved beyond reasonable doubt. In 2014 the OPCW investigated allegations of more than a dozen chlorine attacks in the rebel-held villages of Talmenes, al-Tamanah and Kafr Zita in northern Syria. Investigators were unable to reach the villages themselves but 37 witnesses, including medical professionals, were brought to a "safe location" to be interviewed. Of the 37 interviewees, 32 said they had seen or heard the sound of the helicopter over the village at the time of the attack and 26 mentioned a peculiar whistling sound as the weapons fell. Those who did not report seeing or hearing a helicopter or the sound of the falling weapons said they were indoors at the time. Altogether, 13 people reportedly died in the attacks but witnesses also said they had seen dead livestock and birds. In addition, some described trees with leaves that turned yellow, dark-coloured clothes that became lighter, and a "rusting" effect on some metal objects – which could be indicative of chlorine. "The descriptions, physical properties, behaviour of the gas, and signs and symptoms resulting from exposure, as well as the response of the patients to the treatment, leads the FFM [Fact-Finding Mission] to conclude, with a high degree of confidence, that chlorine, either pure or in mixture, is the toxic chemical in question." In 2015, the OPCW investigated alleged chemical attacks in various parts of Idlib province: Qmenas, Sarmin, Binnish, al-Nerab, Saraqib and Kurin, plus Idlib city itself. Its report complained of problems with access and the selection of interviewees which it said detracted from the strength of its conclusions. Nevertheless, it said, "sufficient facts were collected to conclude that incidents in the Syrian Arab Republic likely involved the use of one or more toxic chemicals – probably containing the element chlorine – as a weapon." "Due to the impact, the head of the cylinder cracked releasing a gas inside the hospital. The gas was described by witnesses as yellow, with a pungent and irritating smell, and since the hospital was carved inside a rock formation, the gas was rapidly dispersed in the rooms of the cave." Although almost everyone was quickly evacuated, Dr Ali Darwish, an orthopaedic surgeon, was in the midst of an operation at the time and, together with the nurse assisting him, remained longer in the cave hospital – and thus received a higher exposure. Dr Darwish died shortly afterwards and his assistant was severely affected. The patient was only mildly affected, apparently having not breathed much chlorine as a result of being anaesthetised and intubated during the operation. Medical records showed 33 casualties in all, including 15 hospital staff. Nine cases were classified as severe and three, including Dr Darwish, did not survive. In its report the OPCW stated without qualification that "chlorine was released from cylinders through mechanical impact". Its confidence in reaching that conclusion was based partly on "elevated levels" of chloride in samples but also on the strength of supporting evidence. It said: "Interviewees gave a consistent narrative of the incident, reported medical signs and symptoms, and the way in which samples were collected. The [Fact Finding Mission] was able to place witnesses at the site at the time and corroborate their medical assessment." The OPCW also investigated an incident on 4 February 2018 when two cylinders fell into a field on the outskirts of Saraqib in Idlib province – a city which was not under government control. Shortly afterwards, eight men who were sheltering in the basement of an adjacent building developed symptoms, as did three "White Helmets" first responders who arrived at the scene. On this occasion the investigators were able to inspect the yellow-painted cylinders in person and take samples. They were described as 140 cm in length and 35 cm in width, with an estimated capacity of 100-120 litres. Various markings on them included "Cl2" which indicates chlorine gas, and laboratory tests showed they had previously contained chlorine. The report added that the top of both cylinders was ruptured and this was "most likely caused by significant mechanical force" (presumably when hitting the field) rather than by an explosive charge. Based on this and supplementary evidence, the report concluded that chlorine, released from cylinders through mechanical impact, was likely to have been used as a chemical weapon. It also noted that other chemicals that "can neither be explained as occurring naturally in the environment nor as being related to chlorine" had been found in environmental samples and that "some of the medical signs and symptoms reported were different to those that would be expected from exposure to pure chlorine". There was insufficient evidence to draw any further conclusions on these additional chemicals, it said. Using chlorine as a weapon is remarkably easy. In its simplest form, all that's needed is a cylinder of chlorine gas – the type used in industry or for purifying water – plus some means to rupture the cylinder. The pressure inside will then release gas into the air. One especially crude method adopted by suicide bombers in Iraq for several months during 2007 was simply to add chlorine cylinders to vehicles laden with explosives. Edward Spiers, in his book, A History of Chemical and Biological Weapons, says the results were unpredictable. In some cases the gas was blown away by the explosives. 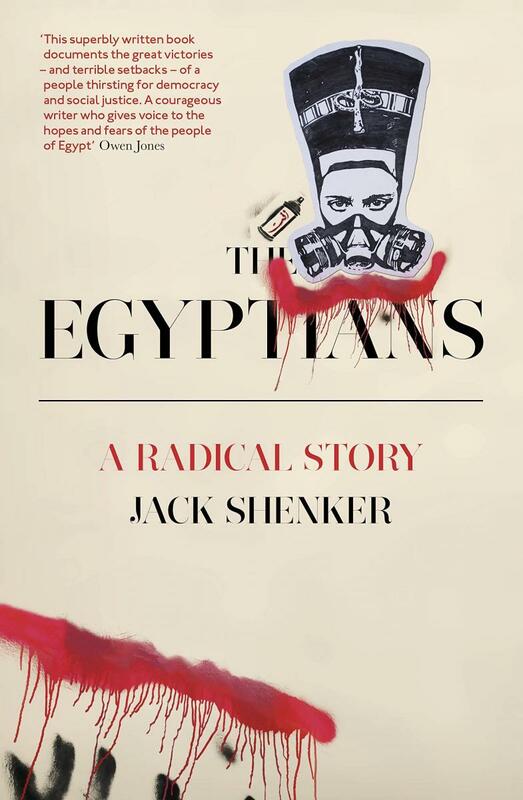 Nevertheless, Spiers says, "the attacks proved excellent instruments of propaganda and intimidation, not least as the chlorine gas was visible to its intended victims, causing increased fear". 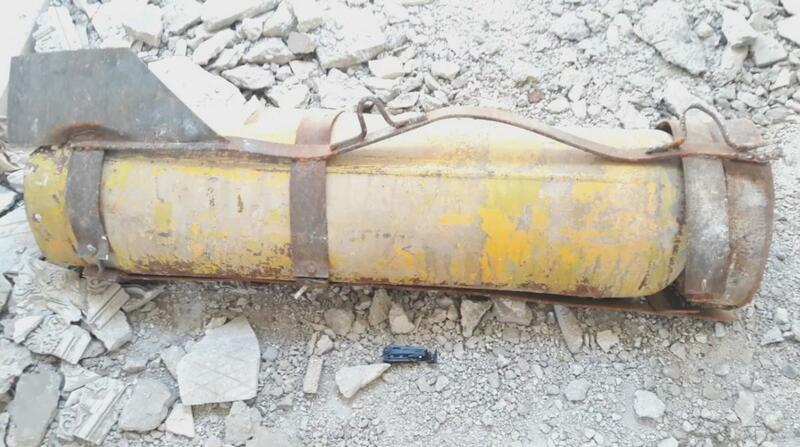 In the Syrian conflict remnants of munitions show that various types of chlorine weapon have been used. One was ground-launched, consisting of a 107mm rocket with a smallish cylinder at the front replacing the customary explosive warhead. This would have a relatively short range, making it usable only from locations close to the front lines. Its design probably also made it highly inaccurate. The other types identified by investigators were air-dropped free-fall weapons which appear to have gone through several stages of development. Syrians often referred to them as "barrel bombs" – a loose term for any sort of improvised munition that fell from the sky. The original barrel bombs, first reported in August 2012, had no chemical component. They were large metal drums packed with explosive, sometimes with the addition of metal fragments or oil. A fuse was lit moments before they were pushed out of a helicopter. Several videos have surfaced (example here) purportedly showing government forces doing this. Use of such rudimentary weapons by government forces might seem surprising but a possible explanation is that the regime had equipped itself mainly for fighting a war with Israel, with an emphasis on anti-tank and anti-aircraft weaponry, and had only limited supplies of air-to-ground bombs. Barrel bombs thus offered a cheap and simple solution. (f) multiple and various connectors that hold the components together. According to the OPCW, chemicals were released when the impact plate on the front end hit the ground, triggering a small explosion which burst open the outer casing together with the bottles and cylinders inside. It appears to have been a binary weapon, since chemical analysis showed the plastic bottles had contained potassium and manganese – probably in the form of potassium permanganate – which presumably was intended to react chemically with the contents of the adjacent metal cylinders. The exact nature of the chemical in the cylinders was never established. Markings on at least one of the cylinders examined by the OPCW bore the markings for the refrigerant R22, a hydrochlorofluorocarbon in the form of liquefied gas, though it could have been re-filled with something else. "There is insufficient evidence to come to any firm conclusions as to the identification of the chemical," the OPCW said in its report, "although there are factors indicating that the chemical probably contained the element chlorine." It noted that the concentration of chloride in debris from the inside surface of the R22 container was five times higher than on its outside surface. "Given the oxidising nature of potassium permanganate, it is conceivable that it might be used to oxidise a chlorine containing compound, resulting in the production of Cl2 [chlorine gas], thus giving rise to the 'bleach like' smell described by interviewees." 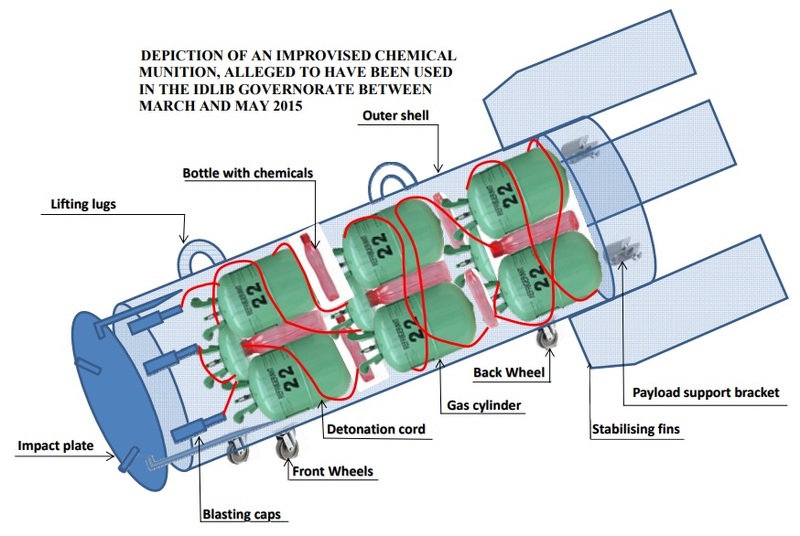 The OPCW also pointed out that open source evidence showed three generic types of chemical barrel bomb, though two of these types fell outside its investigative mandate because they appeared not to have been used in the relevant incidents in Idlib province. It suggested these differing types were the result of "an evolution of their manufacture, likely driven by trial and error". Constructing a chemical barrel bomb of the kind described in the report would involve a quite a lot of work – probably far more than the conventional explosive type – for uncertain results. Possibly someone decided they were unnecessarily complicated, because later attacks seem to have resorted to a much a simpler method: dropping standard industrial cylinders of chlorine gas. These appear to have relied on the force of impact rather than detonating devices to burst them open and release the gas. Photographs show that at least some of the cylinders were surrounded by a metal harness with three key features: lugs for lifting them, tail fins at the rear to improve their aerodynamic performance, and a wheel assembly (presumably for manoeuvring them out of helicopters). Interestingly, these same three features can be seen on the chemical barrel bomb in the OPCW's diagram. Despite the evidence of chlorine attacks in Syria, Assad's defenders constantly assert that they didn't happen or, if they did, that they must have been the work of rebel fighters. Proposed explanations range from accidental release of chemicals stored on the ground to fictitious or "false flag" attacks by rebels aimed at incriminating the regime. "Chlorine is the basic way in Syria, the basic way once you are outside of the major city of Damascus where you purify water, and it's kept in canisters. They can easily be opened up when a bombing takes place. They're everywhere ... When chlorine's there in a small area, like in any place in a small area with no windows, you are going to die." Hersh had also put forward a similar theory in connection with the sarin attack on Khan Sheikhoun in 2017, claiming the deaths occurred when Syrian forces using a conventional bomb accidentally hit a store of "fertilisers, disinfectants and other goods" causing "effects similar to those of sarin". Scientifically-speaking, this was nonsense and laboratory tests later confirmed that sarin had indeed been used. False flag theories first surfaced in connection with the sarin attack on Ghouta in August 2013 and they swiftly took hold on social media. Some claimed the attack was a hoax – that videos of the casualties had been faked – while others said the rebels had attacked themselves with sarin in order to blame the regime. Either way, the presumed rationale was that they were seeking to cause international outrage in the hope that it would lead to western military intervention against the regime. The claims were inherently implausible, not least because there was no credible evidence that rebel fighters had access to sarin, while the regime – by its own admission – had been manufacturing it. Nevertheless, after Ghouta, hoaxes, false flags and accidental release of chemicals became the Assad supporters' standard explanations for any chemical attack on rebel-held territory. Denying the regime's culpability was extremely problematic, however, in the case of chemical weapons dropped from the air because the rebels' lack of aircraft meant they could not be responsible. Testimony from witnesses who spoke of helicopters being used, though not necessarily reliable on its own, was corroborated by evidence from the munitions themselves. Examining remains from the Idlib "barrel" attacks in 2014, the OPCW concluded that the munitions were intended to be dropped from the air and to be used for chemical purposes. It was reasonable to assume, the report said, "that the devices were not designed to cause mechanical injury through explosive force but rather to rupture and release their contents". The relatively large remains, including the outer shell and internal components showed that the weapons did not carry a large amount of high explosive – if they had, the weapon and its components would have fragmented into much smaller pieces. In addition, the resulting crater would have been wider and deeper. The report also cited several reasons for believing they were designed as a free-fall weapon and had been used in that way. First, there was nothing in the remains to suggest they could be launched from the ground: there was no sign of a propulsion system and they were considered too large for artillery purposes. Secondly, the report said, deformation of the outer shell caused by their impact showed that "the device was launched from a height" and suggested it had "followed a free-fall trajectory". Significantly, the report noted that almost all the remaining outer shells had three big metallic fins welded on the back. Typically, the purpose of fins is to stabilise a weapon during its flight/descent, thus improving its accuracy and reducing the risk of failure. Conventionally, four or more fins would be used, the report said, and suggested that the Syrian weapons were designed with only three because more fins would cause practical difficulties in handling them - for example when pushing them out of helicopters. The weapons had been fitted with wheels which meant they could be rolled forward while lying on their side, and having only three fins meant this could be done without the fins getting in the way. The report described this as "a relatively low-cost technical solution that facilitates both the use of the wheels and provides stabilisation". The same principle appears to have been adopted in other attacks where industrial gas cylinders were used. Several photographs show they were fitted with a metal harness which again had wheels and three fins. Why would Assad resort to chemical weapons? The question is often asked rhetorically by the regime's defenders, to claim it had no logical reason for using them and, by implication, has not done so. The question deserves serious consideration, though, and answering it is largely a matter of weighing up the costs of using chemical weapons (politically and otherwise) against the military benefits (as the regime saw them). In August 2012, President Obama declared that chemical weapons in Syria were a red line as far as the US was concerned. "We have communicated in no uncertain terms with every player in the region that that's a red line for us and that there would be enormous consequences if we start seeing movement on the chemical weapons front or the use of chemical weapons," he said. Obama clearly intended this as a threat but the Assad regime appears to have interpreted it as a challenge. A year later, almost to the day, hundreds died when rockets laden with sarin struck Ghouta. This was not the first chemical attack to be reported in Syria – several others had been alleged during the preceding months – but this was by far the most deadly. It also posed a dilemma for western powers in the light of Obama's "red line" warning: what to do about it. The UN security council held an emergency meeting but in the face of opposition from Russia and China ended up issuing a rather tepid statement. In Britain, parliament was urgently recalled from its summer recess and the result was a dramatic defeat for the government's proposals of military action. In the US, meanwhile, it became clear that Congress had no appetite for military action either. The crisis was defused, temporarily at least, when Syria agreed to join the Chemical Weapons Convention. This required the Assad regime to dismantle its chemical weapons programme and submit to inspections – which was certainly an inconvenience – but perhaps more importantly for the regime, the international response to the Ghouta attack showed Obama's "red line" could be crossed without dire consequences. Since then, the Trump administration has shown more readiness to take punitive action. In April 2017 the US fired 59 cruise missiles at Shayrat airbase which was suspected of having been used to launch a sarin attack on Khan Sheikhoun. Within a few days, though, the airbase was reported to be operational again. Twelve months later, following reports of chemical attacks on Douma, the US – assisted by Britain and France – launched strikes that were said to have targeted a research centre in Damascus, along with a chemical weapons storage facility and a command post. On both these occasions the strikes were limited in scope and, in the overall context of the war, the losses incurred by Syria were not particularly significant. On the diplomatic front Syria's ally, Russia, has done much to mitigate the political cost to the regime by repeatedly blocking or watering-down efforts to tackle the chemical weapons problem through the UN security council. Russia has also been remarkably effective in countering the evidence of chemical attacks with claims about hoaxes and false flags. Feeble as these claims might be, they have gained traction among the public in the west – especially on social media – because of western powers' earlier (and now proven) deception over weapons of mass destruction in Iraq. Overall, then, chemical weapons have involved some cost to the Syrian regime but have not cost it dearly. But what of the possible benefits? "Early in 1987, Saddam ... decided to clear out scores of Kurdish villages, in order to undermine separatist rebels. 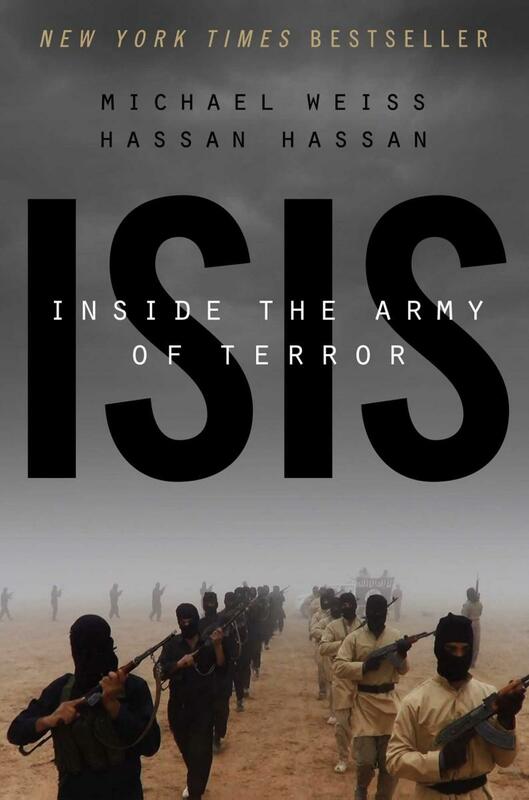 He asked Ali Hassan al-Majid, a general and a first cousin, to lead the project. "In tape recordings later produced by Iraqi prosecutors, Majid told Baath Party colleagues that the novelty and the terror of chemical weapons would 'threaten' the Kurds and 'motivate them to surrender'. 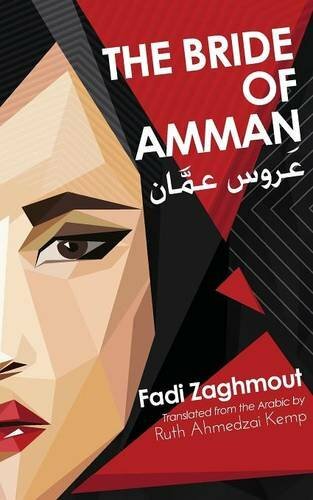 "On April 16th of that year, Iraq became the first nation ever to drop gas bombs on its own citizens; the gassing campaign lasted two years and killed thousands of people." To a lesser extent, there are signs that the same principle has been applied in Syria. "In at least some of the attacks," a report by Human Rights Watch said, "the intention appears to have been to inflict severe suffering on the civilian population, which would amount to crimes against humanity. Some of the chemical attacks hit residential areas far from the frontlines without any obvious military target and appear to have killed and injured only civilians." Some see this as implementing a specific counter-insurgency theory known as the "enemy-centric" approach which includes punishing inhabitants in areas where insurgents are active. The alternative "population-centric" approach favours supporting the local inhabitants in the hope of driving a wedge between them and the insurgents. At a more tactical level, in urban combat, chemical weapons can be a way of clearing fighters (and inhabitants) from a contested area. Besides speeding up the advance, this minimises casualties on the attacking side by avoiding a need to fight at close quarters. On the other side, dealing with the aftermath of a chemical attack places additional strain on resources. In the Syrian conflict rebels have made particular use of tunnels and caves for protection. These are easier to penetrate with chemicals weapons than conventional weapons. Chlorine gas is heavier than air, which means it sinks into low places, with the result that it also affects people sheltering in cellars. Although some attacks do appear to be examples of collective punishment, in others the military context suggests a more specific objective. The alleged chemical attack in Douma on 7 April this year came as the regime was on the point of regaining control of the area. 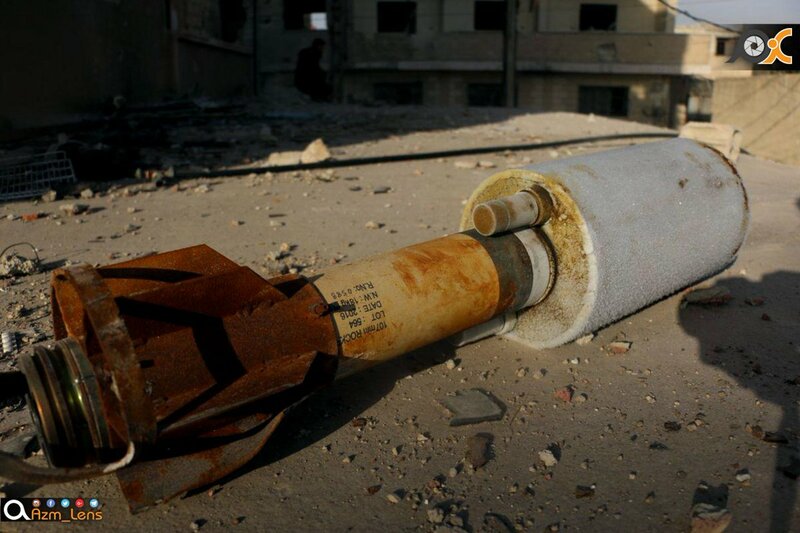 The fact that the regime had the upper hand has since been cited as a reason for doubting the use of chemical weapons. In a TV interview a few days afterwards, Jonathan Shaw, a retired British major-general, asked: "What possible motive might have triggered Syria to launch a chemical attack at this time in this place? 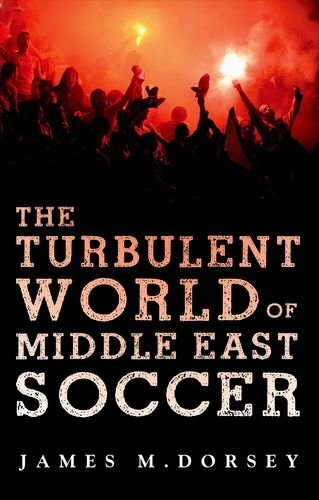 The Syrians are winning." "The tactic adopted by pro-regime forces involved separating the various groups (Ahrar al-Sham, Faylaq al-Rahman, and Jaysh al-Islam) in order to focus their efforts and obtain negotiated surrender agreements. The three main armed groups therefore began separate negotiations with the regime and Russia. The first two groups (Ahrar al-Sham and Faylaq al-Rahman) concluded agreements that resulted in the evacuation of nearly 15,000 fighters and their families. 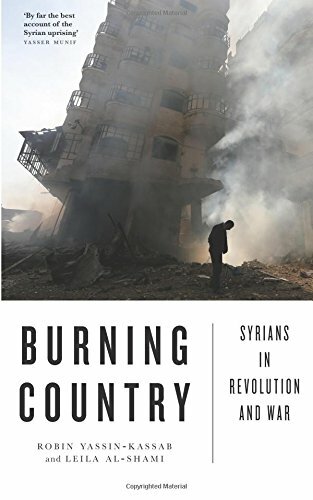 "During this first phase, the Syrian regime's political and military strategy consisted in alternating indiscriminate military offensives against local populations, which sometimes included the use of chlorine, and pauses in operations for negotiations. "Negotiations with Jaysh al-Islam began in March but were not fully conclusive. On 4 April, part of the Jaysh al-Islam group (around one quarter of the group according to estimates) accepted the surrender agreement and fighters and their families were sent to Idlib (approximately 4,000 people, with families). "However, between 4,500 and 5,500 Jaysh al-Islam fighters, mostly located in Douma, refused the terms of negotiation. As a result, from 6 April onwards, the Syrian regime, with support from Russian forces, resumed its intensive bombing of the area, ending a pause in ground and aerial operations that had been observed since negotiations began in mid-March." The report added: "Given this context, the Syrian regime's use of chemical weapons makes sense from both the military and strategic points of view." Blog post, 29 August 2018: Since 2012 there have been scores of suspected chemical attacks in Syria – possibly more than 200. Of those, only a few have been investigated by the Organisation for the Prohibition of Chemical Weapons (OPCW) and only three have resulted in significant consequences for the alleged perpetrator. The first was in 2013 following the nerve agent attack on Ghouta when international pressure forced the Assad regime to join the Chemical Weapons Convention and agree to the destruction of its stockpile along with the dismantling of production facilities. The two other cases – Khan Sheikhoun in 2017 and Douma in April this year – resulted in airstrikes by western powers. Now, as the regime prepares for what promises to be a major assault on Idlib province, the US has said it will respond to any further chemical attacks "with stronger military force than it has used in the past". One problem with this is that on past form it is unlikely to deter the Syrian regime. It's reminiscent of Obama's famous "red line" warning in 2012 which was followed, a few months later, by the first chemical attacks. Where Assad is concerned, stern warnings from the US invite a show of defiance – preferably one that makes any military action by western powers look ill-judged and ineffectual. Another problem – a much bigger one – is that punishing chemical attacks with bombs doesn't actually reinforce international law and may even have the opposite effect. In Syria, two highly-publicised attacks (one of them, in Douma, still not confirmed by the OPCW) have drawn punitive military action but the regime appears to have got away with countless others. Aside from the politics of the Syrian conflict, an important principle is at stake here. The Chemical Weapons Convention bans the use of chemical weapons and, since it was established in 1993, has resulted in at least 80% of the world's known stockpiles being destroyed. Efforts are continuing to destroy most of the rest and, to date, only three countries – Egypt, North Korea and South Sudan – have neither signed nor ratified the convention, plus Israel which has signed but have not ratified. Though often unacknowledged, the convention has been a major international success story – the result of laborious step-by-step efforts over the years. Events in Syria have put it in jeopardy and, unfortunately, there are no quick fixes. The resort to punitive airstrikes is driven partly by feelings that something must be done and, probably, in Donald Trump's case by a desire to put American firepower on display. Some, more reluctantly, view it as the only practical option because legal and diplomatic routes have been blocked – at least until recently. While the OPCW was allowed to investigate chemical attacks in Syria it was not allowed to identify the culprits, and further action through the UN security council was stymied by Syria's ally, Russia. That situation changed significantly in June, however, when the OPCW's member countries voted by a large majority (82 to 24) to let investigators name "those who were the perpetrators, organisers, sponsors or otherwise involved" in chemical attacks. One little-noticed effect of this is that it makes punitive airstrikes difficult to justify without first waiting for the OPCW to announce its findings (a process that can take months, if not longer). Another effect is that it shifts the chemical weapons issue more in the direction of international law – which is where it belongs. Flouting of the ban should be treated in much the same way as war crimes: by meticulously gathering evidence with the aim, ultimately, of prosecuting those responsible. It's a slow, painstaking business and not the kind of dramatic action that appeals to Trump but, over time, it offers the best hope for maintaining the taboo on chemical weapons. Blog post, 12 September 2018: Video footage of a faked chemical attack in Syria, which the Russian military claimed would be "handed to global news outlets by the end of Tuesday", has so far failed to materialise. Blog post, 13 September 2018: A "vast body of evidence" supports claims that a chemical attack took place in Douma earlier this year, the UN Commission of Inquiry on Syria said yesterday. The reported attack, on April 7, led to airstrikes by American, British and French forces six days later. As on all previous occasions, the Assad regime denied using chemical weapons and was vociferously supported in that by its ally, Russia, which claimed a fake chemical attack had been staged "for the benefit of extremists and their foreign backers". "Throughout 7 April, numerous aerial attacks were carried out in Douma, striking various residential areas. 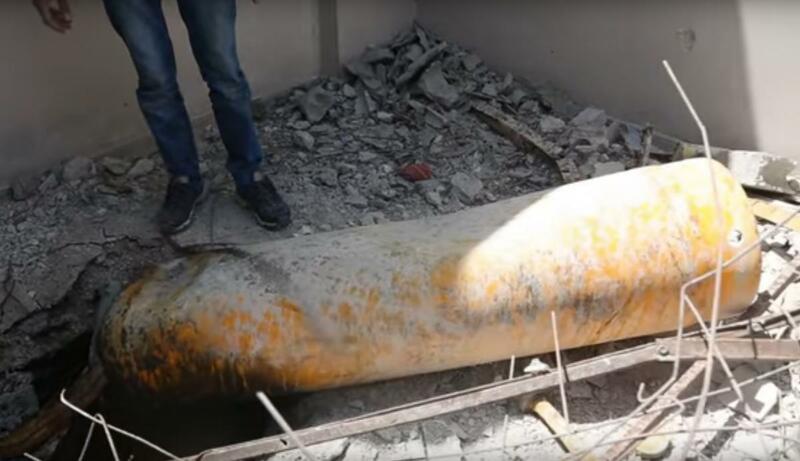 A vast body of evidence collected by the Commission suggests that, at approximately 7.30 pm, a gas cylinder containing a chlorine payload delivered by helicopter struck a multi-storey residential apartment building located approximately 100 metres south-west of Shohada Square." The Commission also said it had "received information on the death of at least 49 individuals, and the wounding of up to 650 others" but added that it "cannot make yet any conclusions concerning the exact causes of death, in particular on whether another agent was used in addition to chlorine that may have caused or contributed to deaths and injuries". 1. Stating that a helicopter was used for the attack clearly indicates the Assad regime was responsible, since rebel fighters have no aircraft. 2. In stating unequivocally that chlorine was used, the Commission has gone further than the preliminary report issued by OPCW investigators in July which said only that samples collected from the scene had tested positive for "various chlorinated organic chemicals". 3. The Commission is unsure what caused the deaths and injuries. It implies that at least some were due to chlorine but is non-committal about whether some other substance was also involved. 4. The Commission's report mentions a single gas cylinder, dropped around 7.30 pm, though the OPCW is currently investigating two cylinders found at separate locations in Douma. The mention of only one cylinder in the report is especially interesting because it suggests the Commission may have doubts regarding the other one – and there are certainly some puzzling questions about it which have not yet been answered. Images circulated on social media show one cylinder which had apparently landed on a balcony, smashing a hole through the floor and thus presumably allowing gas to enter the building. This is the cylinder mentioned in the Commission's report. Images show the other cylinder lying on a bed in a top-floor apartment, with a large hole in the ceiling a few feet away. The problem with this is that if it entered the room via the hole it would have to have shunted sideways in order reach the bed. A possible explanation is that unknown persons had placed it manually on the bed. "It is planned that a comprehensive analysis will be conducted by suitable experts, possibly in metallurgy and structural or mechanical engineering, to provide an assessment of how the cylinders [sic] arrived at its location, in addition to the observed damage to the bed and other furniture of the room, the roof, and the cylinder itself." There's little doubt, though, that the OPCW will eventually conclude that both cylinders were chemical weapons – because it has done so with similar objects in previous reports. Although the cylinders themselves appear to be gas containers of a type used for industrial purposes, images show they had both been fitted with a metal harness to provide them with wheels, lugs for lifting, and tail fins. The addition of tail fins is especially important because, according to a previous OPCW report, this shows the cylinders were intended to be dropped from a height, with the fins stabilising their descent. In other words, the fins confirmed they had been adapted for use as a weapon. The OPCW also said that if weapons dropped from the sky were "not designed to cause mechanical injury through explosive force" it was "reasonable" to conclude that they were chemical weapons – and this is clearly the case with the Douma cylinders. The key question, therefore, is not whether they were chemical weapons but how they came to be in the positions shown in the images. Answering this is particularly important in the case of the "bedroom" cylinder because it has been the subject of much speculation by supporters of false flag theories. Hopefully, the OPCW's final report will provide some clarity. If the cylinder did not land on the bed of its own accord there are two other possibilities: that it landed on the floor directly below the ceiling hole and was later moved on to the bed, or that it was brought into the bedroom from somewhere else. But much as these alternative possibilities excite false flag theorists, they don't actually disprove the cylinder's use by the regime as a chemical weapon. If, for whatever reason, rebels had brought it into the building from outside and manhandled it up the stairs to the bedroom, there's still the question of where it originally came from – and the most likely explanation would be that they had retrieved it from the scene of some earlier chemical attack (of which there have been plenty). Unlike nerve agents, use of chlorine in an attack is difficult to detect after the event. It's a very common element found naturally in many different compounds, so the question is how to distinguish chlorine released by a chemical attack from chlorine that already exists in the environment. The OPCW considered what to do about this when embarking on its first chlorine-related investigation in 2014. Its initial plan was to collect multiple soil samples from an area of open land surrounding the alleged chlorine release point. "The expectation was that chlorine would deposit on soil and be transported into the soil column, where it is converted to a variety of products, including chloride ion," its report said. In the Douma investigation, the OPCW says "various chlorinated organic chemicals" were found in samples from the two cylinder locations. This could indicate use of chlorine as a weapon but it is by no means conclusive and the report adds: "Work by the team to establish the significance of these results is ongoing." The additional work will probably try to establish whether the levels of chlorinated chemicals were higher than would be normally expected. The limitations of laboratory testing are not as big a problem as they might seem, however. Although it's obviously desirable to find out what chemical was used, the main task of investigators is to ascertain whether a chemical attack took place – and for that it is not necessary to identify any particular substance. Legally-speaking, all they need to show is that some kind of noxious chemical was released with the intention of harming people.